Are You Going to Participate in NaNoWriMo 2012? 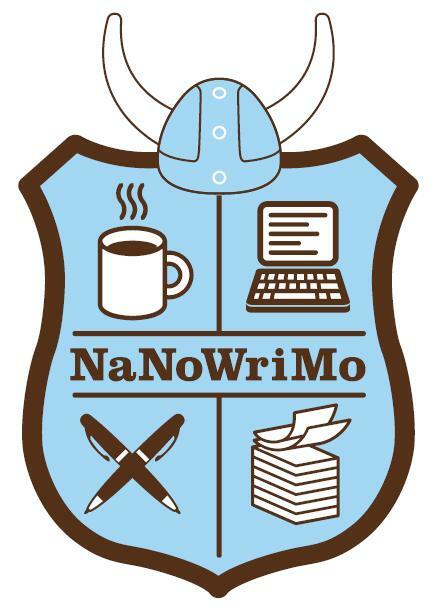 For long-time participants, the NaNoWriMo 2012 website is live! For those who have no idea what I’m talking about, NaNoWriMo stands for National Novel Writing Month. It’s when thousands of writers and would-be writers take the month of November to write a 50,000 word novel. That makes for a short novel, but it’s a word count that’s achievable in the 30 days available, and is long enough to write a coherent and complete story. Last year, I hadn’t thought my idea through very well, and only had enough material for just under two weeks. That left me with a bunch of time and no ideas or plan. I muddled through, writing silly things that only sort of fit into the story, but I still made my 50,000 words. My stubbornness, and the encouragement of a good friend, kept me on pace. This year, I’ve planned ahead. It’s technically against the rules to start writing before November (though some do), but I’ve brainstormed ideas for my story, and started making an outline. I still have a few major story elements that I haven’t figured out yet, but one thing I’ve learned about my fiction writing attempts is that the story changes as I go anyway. Most fiction writers I know have discovered that the story takes them in a different direction from what they were expecting. I’m leaving some space open for that. “How long does this take?” you ask. If you type like the wind and don’t self-edit as you go, you can do all 50,000 words in about an hour to an hour and a half per day. It’s best to budget at least an hour and a half per day, though, because November also contains such things as Thanksgiving, and there are often other days where you just can’t get to writing. So consider participating, and if you do, visit the NaNoWriMo website. You can input your daily writing totals, and watch your progress in a graph. You can also hook up with writing buddies and watch each other’s progress. There are also extensive forums to discuss whatever writing issues you want. So, who among you is participating this year? Raise your hand in the comments!